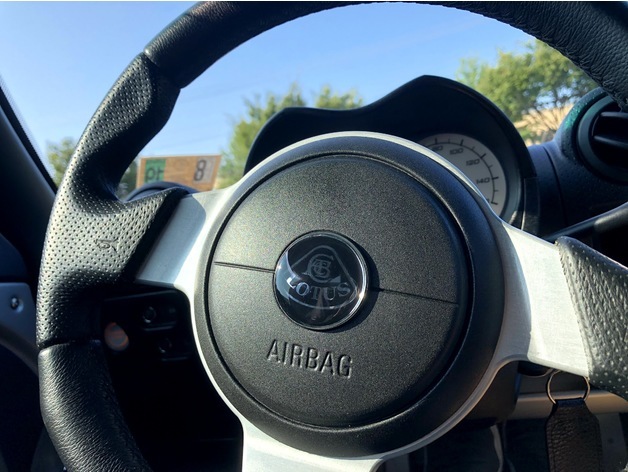 After refinishing the airbag and completely removing the existing emblem, I ended up getting a new stick-on center emblem from GRP -- I got black/silver though they also have the regular colors -- and then made a small 3D-printed part to mount it to and cover the tab holes. Overall, came out well I think. Note that this is after refinishing the airbag itself with Plasti Dip per many other posts here. The 3D printed part is on Thingiverse [here](https://www.thingiverse.com/thing:3071523).